During the 19th century, a number of entertainer partnerships gained significant notoriety with performances called Second Sight Acts. These partnerships usually involved married couples with knowledge of magic and the occult. However Jean Eugene Robert Houdin, the famous French magician, and his young son Emile first gained favour with their dual act of supposed thought transference or second sight act in the 1850’s. Soon afterwards, Danish-born Julius Zanzig and his wife Agnes developed a sophisticated, clever two-person mental telepathy act that was to take them around the world and earn them a place in the history of magic. While his wife sat blindfolded and her back to the audience on stage, Julius would move among audience members borrowing personal items that Agnes would identify. It was thought by everyone that the Zanzigs had a highly developed telepathic communication. This was the era of spiritualism and psychics, so it was relatively easy to persuade people of the existence of strange paranormal powers. There were a number of magicians who resorted to this form of entertainment like the famous Australian Piddington’s, the English Davenport Brothers and the Thorpe Brothers who worked psychic spirit cabinets. It gave the illusion that they were in direct psychic communication with departed beings. This sort of new phenomena was fertile ground for the Zanzigs to capitalize on. They began their career in the early 1880’s with the catch phrase, “Two Minds but with a Single Thought”, that appeared on all their playbills and publicity. They toured countries like England, Japan, China, South Africa, India and Australia, amazing their audiences with their ability to communicate with each other in ways that seemed to be beyond the capabilities of normal verbal interaction. What they were in fact doing was using a very sophisticated, verbal code system between each other. This was undetectable by those watching and participating. Julius and Agnes Zanzig had developed an extraordinary two person communication that enabled them to literally transmit their actual thoughts to one another. This unique act was to make them very wealthy stage personalities with global acclaim. They had been childhood sweethearts in Copenhagen, so had created and developed a very close affinity with one another. It was as though they had ‘Extra Sensory Perception’ or ESP. required by sleight of hand magicians to maintain their proficiency and skill. The two people thought transference system is indeed a real skill requiring a high degree of training and not for the feint hearted, as it takes courage to present well and effectively. In performance for an example, if Julius was to take something like a piece of jewelry offered by an audience member, then while holding it in his hand may say something like, “What am I holding in my hand Agnes”, that would alert Agnes that he was holding say a broach. She would then announce he was holding a broach. Julius may then ask, “Can you describe the broach to us”. Whereupon Agnes might reply, “The broach is silver with rubies set in the centre”. It was these simple yet cleverly devised sentences that secretly coded the object’s description between them. As their act developed it became possible for Julius to even send the numbers on a train ticket, theatre ticket or serial number on a banknote a patron had handed him. A spectator could alter the time on his pocket watch and Agnes would be able to tell the exact time the watch was reading. To the audience there seemed to be absolutely no explanation what so ever. If Julius was handed a cigarette case he might say, “Agnes I am holding something a gentleman might use at leisure, please describe what you sense”? Agnes would reply, “I feel that you are perhaps holding a gent’s metal cigarette case that is possibly made of gold”. Julius would then open the case and ask, “Are there any cigarettes inside the case”? And his wife after due concentration would answer, “I believe there are 6 or 7 cigarettes inside”. Sometimes acting a little vague about the exact number gave the act much more credibility, It was as though telepathy was not a complete science. Another example where Julius had successfully transmitted a multi digit number to Agnes, she may leave out the zero. Then when questioned by her husband that she had missed a number, would reply that, “The number is possibly a zero but as it has no numerical value is therefore unable to be mentally received by me”. This was a clever use of what mentalists call double entendre or double speak. In 1916 Agnes died aged 59 but shortly afterwards Julius Zanzig re- married a New York school teacher named Ada to whom he taught the code. 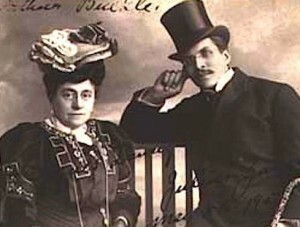 However Ada developed a dislike for stage work and was replaced by a Serbian magician called Paul Vucic who later gained fame as the professional magician Paul Rosini. With the advent of World War 1, Rosini joined the army, causing Julius to search for yet another competent partner. He took on teenager David Theodore Bamberg, the son of famous stage magician Theo ‘Okito’ Bamberg. (Noted for inventing a number of magic tricks) Together they performed the Second Sight Telepathy act together till the mid 1920’s when Julius retired. He spent his last years writing a number of books on Fortune Telling, Palmistry, Scrying with a Crystal Ball, and would on occasion perform as a teacup reader from his home in Santa Monica. He passed away in 1929. 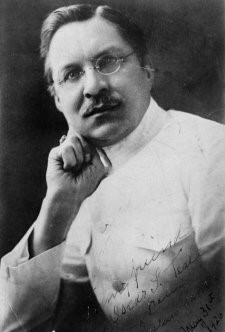 The famous author and renowned spiritualist Sir Arthur Conan Doyle and other influential men of the age firmly believed that the Zanzigs definitely had the psychic gift of telepathy. Shortly after they retired Ada and Julius Zanzig admitted through a London Newspaper that their act was all trickery. Their “Two Minds but with a Single Thought” act is considered by most professionals to be the most dauntingly, complex two-person act ever devised. Well known English magician / writer Will Goldston attempted to describe the code the Zanzigs had used but fell short by not revealing it in its entirety. Then in the 1940’s U S magic dealer/ mentalist Robert Nelson published a simple Master Code System that superficially almost resembled that of the Zanzigs but was not nearly as expressive as the original version. However today there are even more sophisticated non-verbal coding systems being used that almost defy powers of explanation, but are after all only magic tricks, but highly sophisticated magic tricks. The lesson that comes to me about the Zanzigs is that they maintained their secret till the end of their careers and that’s something all magicians should do. “Share the Wonder – Not the Secrets”. 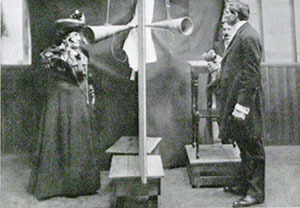 Up until recently (2010), American performer Glen Falkenstein and his wife Frances Willard presented a superb two-person act that included a pseudo spirit cabinet. Before them we had US husband and wife team Tommy and Liz Tucker, all highly successful two-person act entertainers. Today there are only two acts that come anywhere near to presenting something similar to the famous Zanzigs, namely the husband and wife team of Jeff and Tessa Everson of Canada and Jannie and Zurika DuBrain in South Africa who specialise in a pseudo-psychic telepathy act. So if you want to be different, perhaps you could look for a partner and develop your own ‘ESPecial’ style for a new magic act. You could very well become the new-age phenomena of entertainment and earn a place in the history of magic.